NEW! 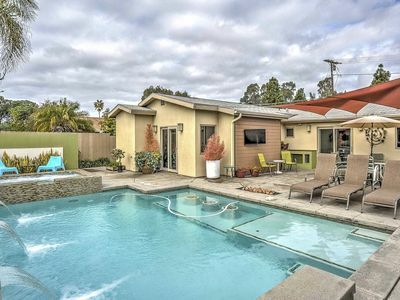 Remodeled 3BR San Diego Home w/Private Pool! 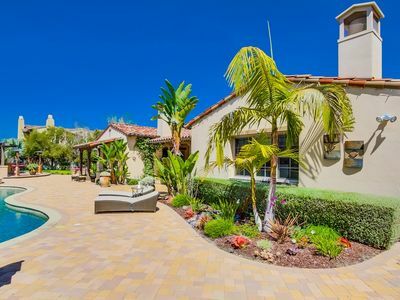 Have the California retreat of a lifetime when you book this stunning 3-bedroom, 2-bathroom San Diego home with room to accommodate 10 guests comfortably. 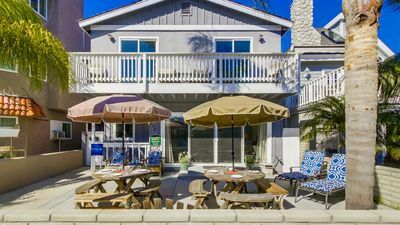 Located in a desirable area close to the best attractions the city has to offer - like the San Diego Zoo and fabulous beaches - this home provides everything you'll need for an unforgettable vacation! 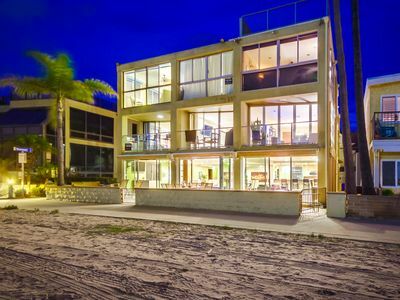 From the moment you arrive at this incredible property, you'll know you've made the correct choice. 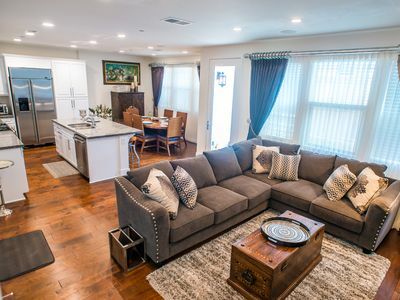 Inside, the home boasts a fantastic open layout and all the necessary comforts of home, including air conditioning, soft linens, a walk-in closet, and wireless internet access for your entertainment. The amenities aren't the only thing that will impress, as this recently remodeled 2000 square foot interior showcases its gorgeous wood floors and modern furniture. Enjoy gathering in the living room and watching cable TV with your companions. Look forward to creating mouthwatering culinary dishes in the kitchen, equipped with sleek stainless steel appliances. Everyone in your group will love spending time in the outdoor space and forgetting about all of their worries back home. Spend lazy days floating around in the private pool's refreshing waters or lounging in the comfortable chaise lounge chairs reading a good book. 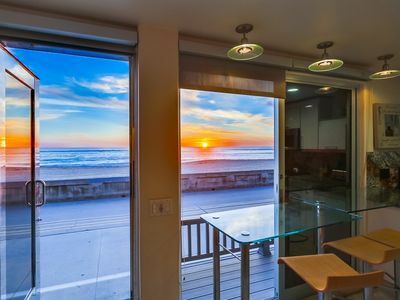 After working up an appetite at the beach, return home to cook up some tasty barbecue on the gas grill and mix up your favorite drink at the outdoor bar. End your exciting vacation days in the soothing spa, staring up at the bright stars in the night sky! 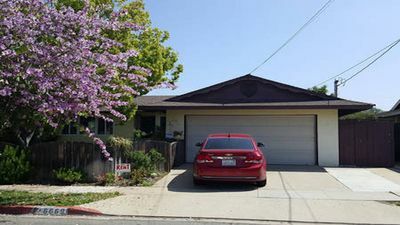 You simply cannot beat this home's terrific location, conveniently located within close proximity to an abundance of attractions! 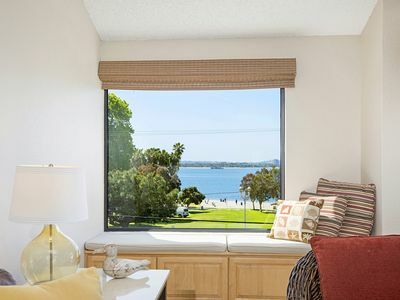 From here, you'll only be a short distance away from a variety of shops, as well as the freeways that will allow for easy access to breathtaking beaches. If your little ones are interested in seeing their favorite animals, take them to the world-renowned San Diego Zoo. They'll also love visiting Legoland, which boasts over 60 wonderful shows, rides, and attractions. 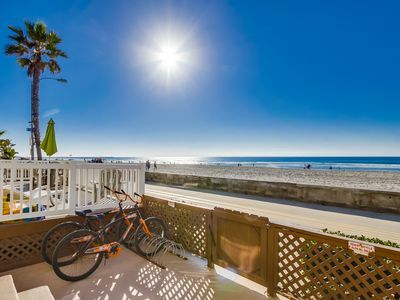 The vibrant downtown area of San Diego is within arm's reach, making it easy to have a fun night out on the town. 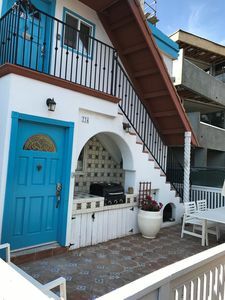 Regardless how you choose to spend your time here, this marvelous San Diego vacation rental house is guaranteed to provide you with a special escape to The Golden State! 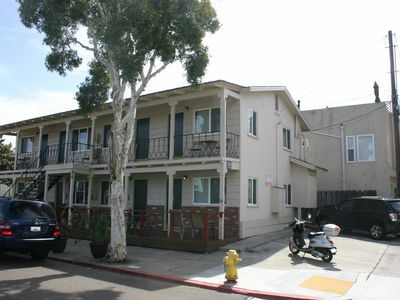 - Sensational location - Close to the freeways, giving easy access to the San Diego Zoo, downtown, and beaches! 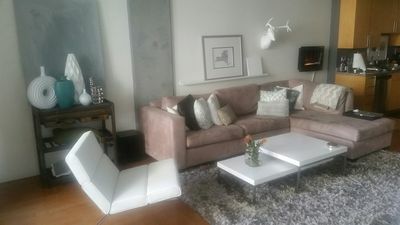 #4090 - Bayfront-Luxurious Condo-The Perfect Family Getaway! 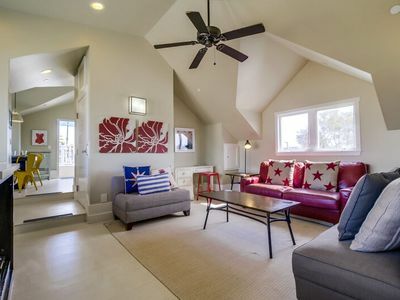 UPGRADED | CENTRAL AC | Cape Cod Family Beach Home, BBQ, Roof Deck! 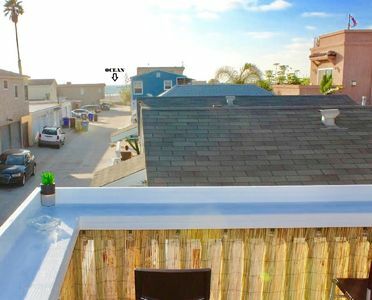 Awesome home in Mission Beach- Sleeps up to 12- Upstairs balcony- Low Rates! 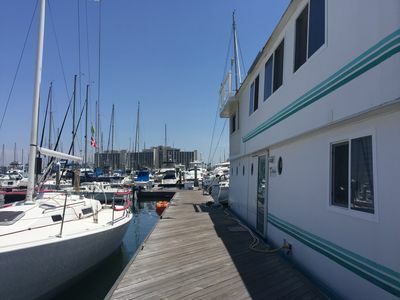 Houseboat (Floating House) in Beautiful San Diego Bay on Harbor Island!